We are currently working on our documentary that goes in depth in discovering the origin of Coworking. 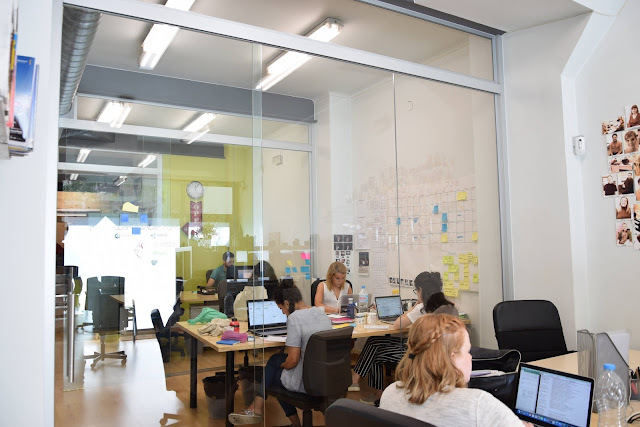 We want to find out more about where it all began, and how, and the opinions of fellow Coworkers and those who have started Coworking centers. You can find a short teaser on our website, From San Francisco to Barcelona: Searching for the Origin of Coworking. We are also currently making our second teaser that should be released and posted to our website in a few weeks. Within the interviews that we are conducting for the documentary, we have included the individual who coined the term Coworking and opened the first Coworking center in San Francisco. Like us on Facebook and be sure to follow us on Twitter!